Builders Surrey wide come in many shapes and sizes. There are numerous one and two person operations up and down the county that offer varied levels of service. It’s all too easy for a company to announce they can complete a job without actually having the necessary skills to not only finish it to a high standard but also to fulfil their obligations by a projected deadline. These are vital considerations for anyone considering construction work on any property or piece of land. One of the difficulties is finding a company who can deliver on their promises and keep things clear for you throughout the construction process. Both domestic and commercial clients hire builders Guildford based for house building contracts, and a good construction firm recognises the differences between them. For a domestic build, the client may be less confident in their specifications and options, requiring impartial architectural advice in order to create their ideal home in the space available. Often, these clients are building their dream home and it’s easy to get carried away without thinking too carefully about budget and deadlines. However, a good construction company recognises this and helps the client where appropriate. Guildford builders are some of the most reliable you’ll ever encounter but, even so, there are still variations of service across the county. Domestic clients can be bamboozled by jargon and, while this is not always intentional, it can lead to misunderstandings and bad feeling between company and client. To avoid this, you need to choose the right company for your needs. Equally, commercial clients need to work with a company who perfectly fulfils their criteria in terms of time and budget, but also it should be a firm with an excellent reputation with whom they can develop a strong working relationship. Whichever home builders you choose, you must have confidence in them. You may have decided to add an extra bedroom, a loft conversion or something more specific to your home and your needs. A home extension can be a valuable addition to a property for several reasons. For instance, an extension could increase the financial value of your home. Good extension builders recognise this is a prime motivator for many home-owners choosing to have an extension built in the modern housing market, and will therefore be completely honest about the value you may be adding to your home. Acquiring extra space is also a factor for people opting for Surrey building services to extend their home. Instead of attempting to move house in a volatile housing market, people are preferring to extend up or out. Professional builders in Surrey can advise on your options without being pushy or confusing. They know that honesty and reliability are two things that clients value more than anything and they’ll strive to deliver clear yet flexible service to those seeking an addition to their home. If you’re uncertain whether an extension is the right step for your home, find a good construction company that will offer advice with no obligation to commit to work you’re not comfortable with. Groundwork Surrey wide is a thriving industry. Across the county there are small and large-scale projects that require skilled professionals to complete them. These can vary from patio builds all the way up to drainage solutions; and each requires a specific skill set. Equally, domestic and commercial clients require different capabilities and some builders in Surrey can’t always offer the relevant expertise. You need to know that you’re hiring groundwork contractors who have access to the correct equipment and who will provide a service of exceptional quality. You need to have confidence that you’re hiring professionals with the correct qualifications who will provide sterling service, whether you’re installing a new driveway or laying the foundations of a new house. When you choose groundwork services from builders Surrey based, you should be aware of the variations in standard and select the best possible contractor for your needs. Take into consideration time and budget and be aware that some firms make promises they can’t deliver on. Talk to the contractor you want to engage and, if they’re reputable, they’ll be able to answer all your questions and help you make informed decisions about your groundwork. Don’t settle for less than a company who endeavours to fully understand your expectations and then delivers the perfect service. In summary, before you undertake any work on a property, whether you’re a domestic or commercial client, you need to choose the right builders in Guildford or beyond. We all hear horror stories on a daily basis about bad experiences friends and family have had with building contractors. The way to remedy this is to choose reputable builders Guildford wide for your needs. 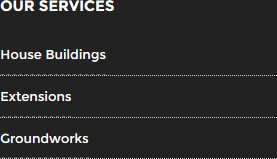 Remember, a reputable service provider has an informative website. 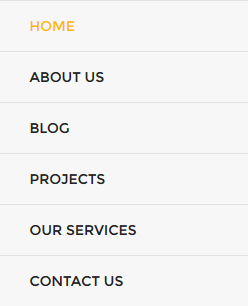 They’ll often list previous clients, with photographs and testimonials available for recent projects. They’ll be proud of the work they’ve undertaken and they’ll be willing to talk to you about it. That’s the simplest way to weed out skilled builders from the rest – talk to them. A good contractor will answer your questions and offer you advice on your options. This is valuable whether you’re a domestic client hoping to build a loft extension or a commercial client intent on building a set of houses and then selling them at a profit. You need impartial, considered advice from the best builders Surrey has to offer and you need to select a contractor who offers honesty and integrity alongside their core building skills. If you choose a company like KHL Construction Ltd then you can be assured that you’re getting such a service. 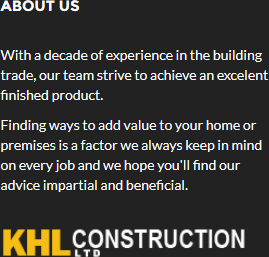 KHL Construction Ltd was established in 1960. A family-run firm, its ethos is based on integrity and professionalism and we boast team members who are qualified in both carpentry and electrical installation, alongside holding all relevant building qualifications. As premier builders Surrey based, we offer a full array of services to domestic and commercial clients, participating in every aspect of projects from design through to completion. If you have a project you’d like to discuss, call us today on 01483 277560 or visit our website at http://khlconstructionltd.com/ for a clear idea of what we can bring to your building project.